Luke and Mary Marvin, moved to Duluth in 1861 after having been appointed as registrar of the U.S. Land Office by President Abraham Lincoln. Mary, wishing to pass her faith forward, quickly assembled a meeting of her children and several others in her home to instruct them in the scriptures each Sunday. After a few years, they began inviting Rev. William Higgins from across the bay in Superior, WI for Sunday afternoon services in their home. As the service size increased they eventually began meeting in a school house across the street from the Marvin home. 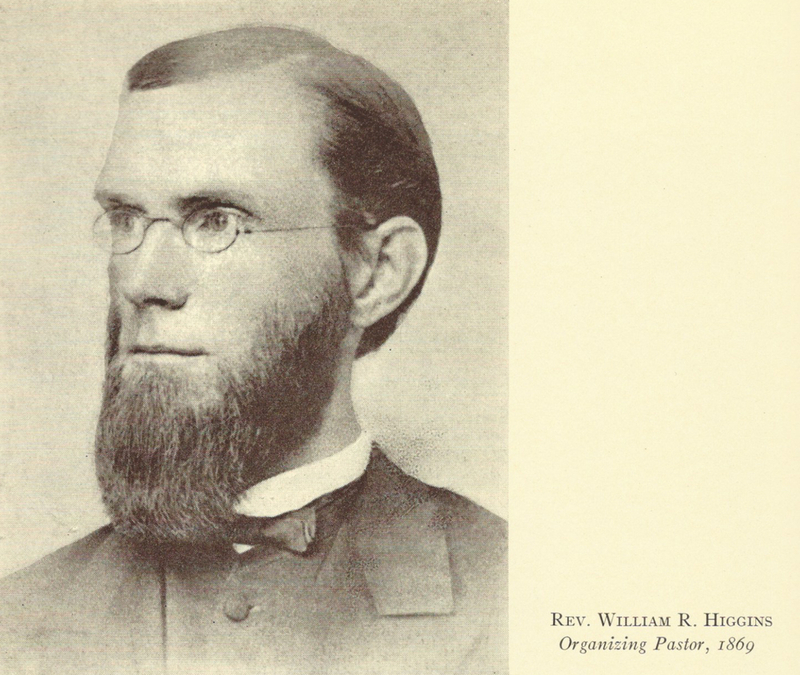 “We, the undersigned, feeling the importance of Christian effort in a new community like our own, and desirous of obtaining a regular minister of the Gospel in this town, hereby express our willingness to unite ourselves together as a New School Presbyterian Church, under the name of the First Presbyterian Church of Duluth, and it our desire and intention in signing this paper that any church structure which may be erected under the auspices of this first church organization of Duluth shall be used as far as practicable as a union church for other denominations, until they shall provide themselves with church edifices. Since that time First Presbyterian Church of Duluth has worked to fulfill this vision of bringing Christian community to Duluth. 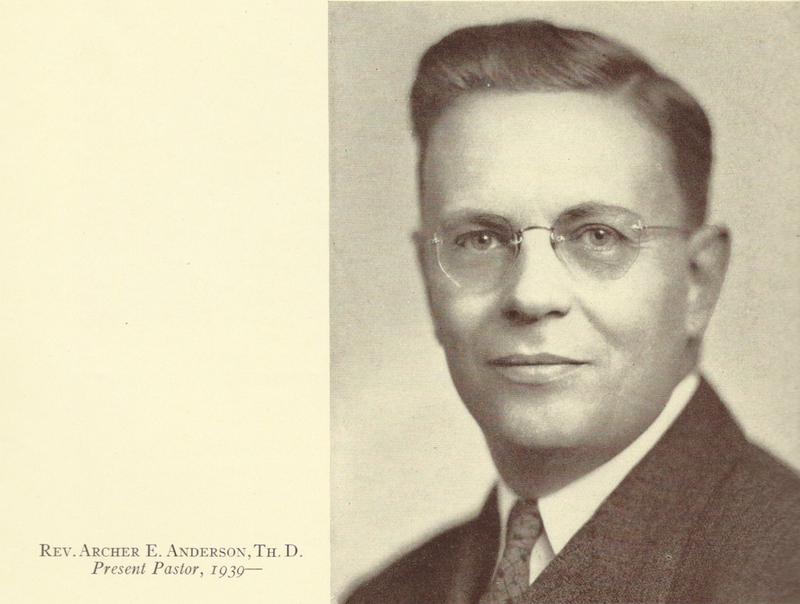 Lakeside Presbyterian Church and Glen Avon Presbyterian Church were early church plants of First Presbyterian. Additionally, countless other ministries have been hosted and founded out of this community. 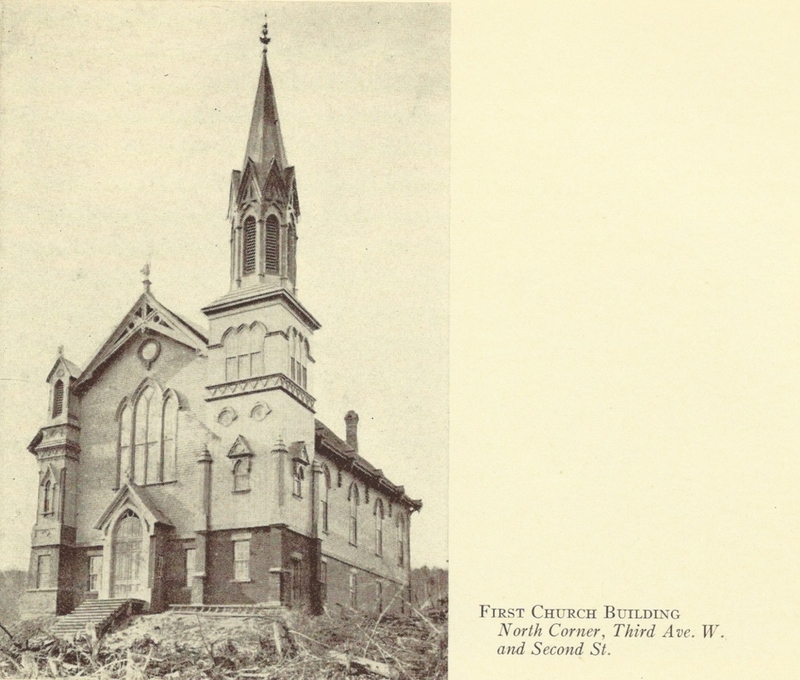 In its early years, First Presbyterian Church of Duluth was instrumental in providing missionaries to the logging and mining camps of Northern Minnesota. Additionally, the congregation continued its love of children by providing for Week Day Christian Education Classes which provided nurture for some 3500 children in Duluth. As a result of their focus on passing the faith forward, over 100 clergy have entered ministry after being nurtured in the faith by this community. Then several years ago we began hosting Child Evangelism Fellowship and CRU (formally Campus Crusade for Christ) in our building. Providing them a place to base their ministries to reach the greater Twin Ports community. As a congregation we are renewing our focus and care for children in our midst. We again have a vital growing Sunday School Program focused on helping children understand Christ’s love and grace in their lives. We look forward to how the Holy Spirit will continue leading us into the future! Join us as we embark on a path ensuring the transformational faith handed to us from long ago will continue to be passed along to future generations.